Are you off late feeling uneasy with your partner’s odd behavior? Do you feel that your new friend is not a friend at all but a foe in disguise? Do your new employers seem shoddy and diabolical? Has your colleague suddenly stopped coming to work? There is one easy way to find out the truth behind it all. By hiring the services of a private investigator you will be putting your mind at ease. You will easily learn the truth and eliminate danger from your life and the lives of people you know. Micheal McKeever, aim’s to do just that. He is in this field for over 30 years, developing ways to bring out the reality and has been helping clients just like you in knowing the truth. He is licensed to practice investigation in Manhattan, New York and the surrounding areas. Here are a few things that you need to keep in mind while hiring a private investigator. The very work of this field requires utmost privacy and discretion on the part of the investigation. Any leak in client information or the work done can have severe implications on several lives. Confidentiality must be the foremost clause to keep in mind. To know the intricacies of a human mind one must have the experience, knowledge and skill required for investigative work. The investigator must have the qualities and attitude to extract information out of people and situations. He must be patient and calm while going about his work so as not to give away his position. It is extremely important that the hired investigator is doing his work honestly and not just siphoning off the clients’ money. Thus the reputation of the investigator and his firm is vital. Thus, if you have any concerns in your life where you might need to seek the truth, contact us immediately. Deceit, lies, and dishonesty have filled up the world. Everyone is corrupted and seeks every chance to betray you for their own benefit. As a result, there is an increasing tendency of people to not trust the other person. So, if you also have any such situation where you need to find the truth behind it, you should resort to a private investigator. These people are very intelligent, smart, and have an experience of dealing with several issues where one needed to know the truth but in complete confidentiality. Michael McKeever is one such competent and efficient private investigator. He has more than 30 years of experience in several issues, and therefore, can solve your problem with similar grit, determination, and proficiency. He is quite aware of how to break down the barriers and defenses to find the truth anyone is hiding. So, right from domestic cases, computer forensics, litigation defense, to photo or video evidence, computer forensics, or missing persons, you can resort to him. So, if you are based in areas such as New York, NY, NYC, and Manhattan, then he can be the right choice for you. 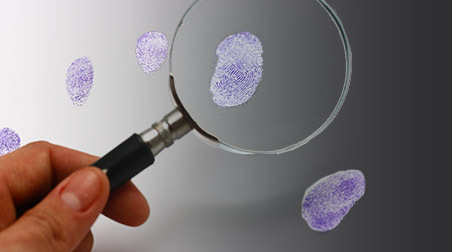 Here are 2 most common cases where one needs to hire investigation services. Take a look. If you run a business, it is essential that you have a background record of all your employees, especially the ones who handle confidential information or any other sensitive data. A detective or an investigator can provide you with a complete information about your employees. This is the most common reason why investigators are hired. If you believe that your spouse is having an affair with anyone else, it is crucial that you hire a detective to find the truth, and take the necessary action. So, these were the two most common reasons why investigators are hired. If you have any such requirement or other cases, then you can call at 212-226-0358. As an investigator, often you never know what your efforts will reveal. AND you really don’t know what the results may mean to the client. I feel like I am a reporter and there is no way to sugar coat the findings. My job is to report the unvarnished truth. I learned long ago that you don’t hire a private eye to find out information you are not ready for. I had a recent case for a client who wanted me to locate his mother. He was raised by his father’s family in South Carolina after the parents split and never saw her again. The client (about 55 years old) was aware his mother could be deceased by now. He gave me the information he had on his mother, and I set to work. Later, I was not finding her and doubted the information he provided me. The client then told me he was going back to South Carolina soon for a family reunion and would ask his uncle to verify the information. When he did this he found that maybe his mother was not born in NYC as he told me, but possibly in Pennsylvania. This info changed everything, and I was able to find her family in the census for Pittsburgh in 1930. With the new information I was able to find the mother- on the SSDI. This is the Social Security Death Index. She had died in 1991, in Brooklyn. Now, I had the unhappy task of telling the client his mother was gone. As I did I could sense no real disappointment in him. He then told me that in 1991 he was in the Navy in San Diego and struck up a mail correspondence with his mother in Brooklyn. He was pleased to have the letters back and forth and started to re-form a connection with her when suddenly her letters stopped coming. Now he knew why. His mother had died. It wasn’t that she rejected him, again. Only that she died, and no one knew to tell him. He was actually relieved with the news. I felt better about the whole thing and was reminded that as a p.i.- “you never know”. If you are looking for an experienced no-nonsense private investigator in Manhattan, New York, NY or NYC them McKeever is your man. Whatever the nature of your case you can be sure if McKeever can’t help then it not a job for a private detective. A private investigator can help solve your case or mystery and help you get the closure you need. Sometimes a case is basic and routine. Some cases simply involve things like background checks or accident investigations. Other projects can be more sensitive and personal such as fidelity or divorce cases. Some cases such as missing person’s cases can be agonizing and soul destroying. When you have a situation that requires some form of investigation you will be well advised to enlist the services of a private detective such as McKeever. A private investigator has the right training and field experience to conduct investigations of personal, domestic, commercial or criminal natures. A private investigators main task is to find the evidence you need to settle your case. Whether the evidence is what you expected or not, it will bring out the truth. When you know the truth you are properly informed and can act accordingly. Without knowing or being certain about the truth you will be second guessing yourself and this can often lead to bad and unfortunate decisions. In order to find the evidence you need a private investigator will often use many skills, resources and contacts. Sometimes a PI needs to watch somebody, follow someone, engage someone or even fight someone. All this requires specific skills and experience that can range from surveillance to video work, from tracking to forensics. Getting to the truth is the main objective of any investigation. This process may even require evidence that can be used in a court of law. A private investigator is best equipped to find the evidence and information you need to finalise your case or project. Have you ever thought what a private investigator does? If your answer to this question is yes, then by reading this article you might find information that will help you understand exactly what this job involves. Infiltrate in groups that deal with illegal traffic of goods, by posing as a person who is interested in buying the things they have to offer. These groups may have a wide range of illegal activities such as drugs, stolen cars, or even human trafficking, and can be very dangerous. Conducting investigations for the government. They main job is to find out information about companies suspected of money laundering, or forgery. Dealing with technical surveillance counter-measures. This means that they trace unwanted espionage devices such as bugs, and hidden video cameras, and they take the required measures to eliminate them and to find out who is responsible of mounting these devices. There are private investigator companies which are specialized in a certain field, so you should take extra care when hiring one because not all of them may fulfill your needs. For example there are Pi companies who conduct investigations only on individuals, and if you want to find out more information about a company, they will not be able to help you. To conclude, we can say that private investigators deal with lots of different jobs, for individuals and also for companies or for the government. Also, because of the people needs to find out more information, private investigator services are now available even in areas such as Manhattan, and New York City. Have you ever asked yourself what are the jobs that a private detective has to do? If your answer to this question is yes, then you should continue reading this article to find out what private investigators do for a living. First of all, maybe the most common job that a private investigator has to do is surveillance. This happens because in order to have a starting point for your investigation, you first have to know who you are dealing with. During surveillance, a detective can find lots of information such as the working place of the person he is after, where they live, and who do they hang out with. This information can be really useful when advancing with the investigation because it offers the detective new sources where they can find information. Another job that private detectives often do is running background checks on the people they need to find information about. 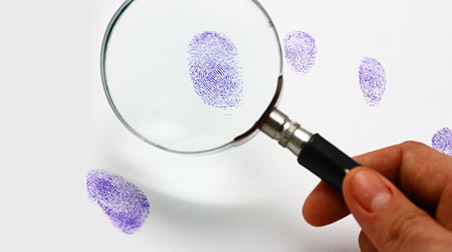 During this background check, they will look for any suspicious activity that the person in question has done in the past, and will also try to make connections with the information they already have about the person that is being investigated. They can also deal with undercover operations, especially when they have to work for the government. During this process, they often have to disguise themselves, create fake ID`s and also infiltrate in criminal gangs that sometimes can be very violent. This is why private detectives would rather work for their own company, rather for the government, since they do not need to put their life in danger. In conclusion, we can say that private investigators deal with all sorts of tasks, and in order to become a professional in this business, you will have to master every single one of them. The way a private detective is portrayed in the movies or on TV shows differ greatly from real world realities. The movies are there to entertain; a private investigator is there to solve real world cases. If you have a case you need to solve you want a real detective who knows where and how to find evidence that will back your suspicions or concerns. If you need a real life and professional private detective in Manhattan, New York City, NY then you need look no further than Michael McKeever. With years of experience in cases that range from infidelity to missing persons, his track record speaks for itself. When you are faced with a difficult, unpleasant or traumatic situation that requires investigative work you may well be better off hiring the services an experienced and competent private investigator. Many cases are highly emotional and these can be very damaging to you on personal and metal level. Getting to the bottom of things may not be easy, especially if you try and do it on your own. Finding the real facts and the true answers should be a matter of priority in such as case. Letting things linger will just cause them to fester and it will poison your mind and your life. You start thinking irrationally and start making mistakes that only make the situation worse. A private detective has an objective yet compassionate view in these circumstances. More importantly a private investigator has the knowledge, resources, skills and equipment to find the answers to the questions you so desperately need. Finding answers involves finding evidence and analysing evidence. Finding evidence often involves a number of skills and tactics such as surveillance, tracking, following, forensics and even confrontations. These are tasks best left to someone who knows how to execute them with maximum discretions, efficiency and effect. This is the best way to get real and plausible evidence that not only good for you, but also good enough for a court of law. When you have suspicion or gut-feel that someone is up to no good or screwing you over in some way, you may well need the services of an experienced private detective to help solve your case. When you have a case in Manhattan or New York City, NY then you need a private investigator that has hands on experience. You need a private detective who has real experience out on the streets. You need PI McKeever. Not knowing the real facts; not knowing the truth can be an excruciating and emotionally destroying experience. Perhaps your spouse is cheating on you or your child is involved with drugs or your business partner is embezzling funds. Maybe your case is even more severe, such as a missing child. Whatever the nature of your torment, detective McKeever can help. When you hire a PI you want results, fast results. You also want privacy and discretion. You want to deal with a private investigator who understands the importance of your privacy and who also knows the science of investigation. You want the kind of private detective who knows where to look, who to speak to, who to interrogate, who to follow and who to confront. You need evidence to support and prove your suspicions and to solve your mystery. A professional and experienced detective such as McKeever knows how to find and analyse evidence. He knows how to use the tools of the trade, where to look, who to contact, who to keep under surveillance and when to act and when to wait. Investigative work requires special skills that are only acquired with expert training and years of real field work. Covert surveillance, overt surveillance, forensic science, computer forensics, tracking, tracing and following are all special tasks that require the utmost patience, discipline and attention to detail.. You don’t want to risk trying it on your own. One mistake can blow your case or even cost you your life. Leave it in the hands of a PI that knows what he is doing.